ArrangerPeople especially talented in the Arranger theme can organize, but they also have a flexibility that complements this ability. They like to figure out how all of the pieces and resources can be arranged for maximum productivity. BeliefPeople especially talented in the Belief theme have certain core values that are unchanging. Out of these values emerges a defined purpose for their life. 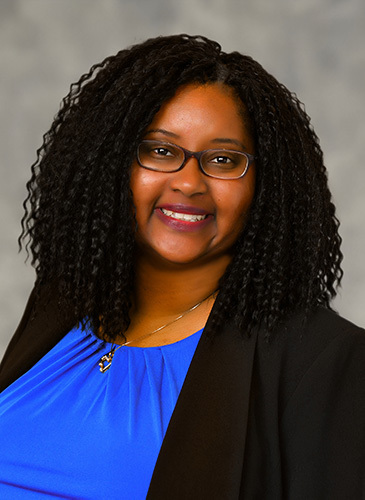 LaShonda joined Resource Consulting Group in September 2018 as a client service specialist. She brings 19 years of client service experience in the financial services industry. LaShonda graduated from Wichita State University with her B.A. degree. Prior to joining RCG she worked at Charles Schwab & Co. where she discovered her purpose behind her passion of helping other people chase their dreams. She is married to her wonderful husband of 20 years and in her spare time she enjoys reading a good book, video blogging, and hosting amazing events. The best person I’ve ever known was my grandmother, Mae Parker. She was an incredibly hard worker who always had a smile on her face. She would often say, “a smile costs you nothing, so smile.” She was the very first person to instill confidence in me as a child and I have no doubt that she loved me the most because I was her very first grandchild. Growing up my grandmother taught me the 3 C’s. The first C was church. She took me every Sunday, whether I wanted to go or not. I attribute my strong faith to our Sundays together. The second C was for cooking and some of my fondest memories are of us cooking together in her kitchen. The third and final C stood for college. My grandmother always reminded me how smart I was, and she wanted me to do better in life by going to college. It was her belief in me that encouraged me to work hard and obtain my college degree. I’ve always wanted to make her proud. My grandmother passed in 2011 but she is still very much a big part of who I am today.